This year too, the leader for secondary woodworking technologies, SCM is to play a key role at the 26th Xylexpo Trade Fair, to take place at the Milano-Rho Exhibition Centre, 8 - 12 May, 2018. 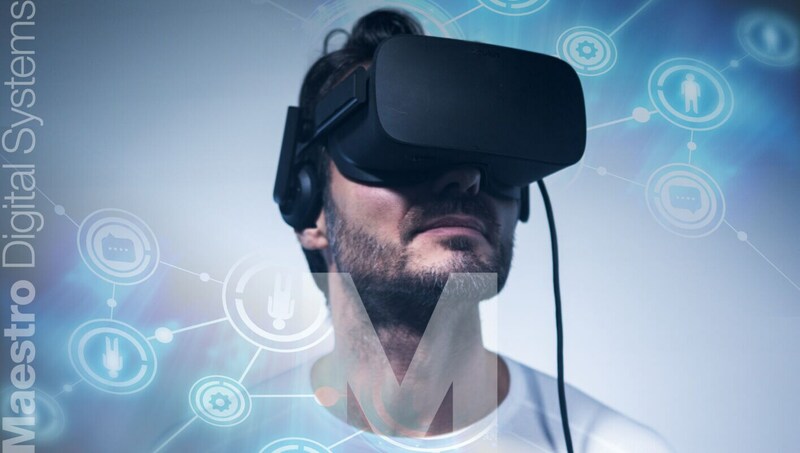 Luigi De Vito, SCM Division and Group Sales & Marketing Director, comments: “Xylexpo represents one of the key international events for us in which to showcase technological innovation at the highest level. 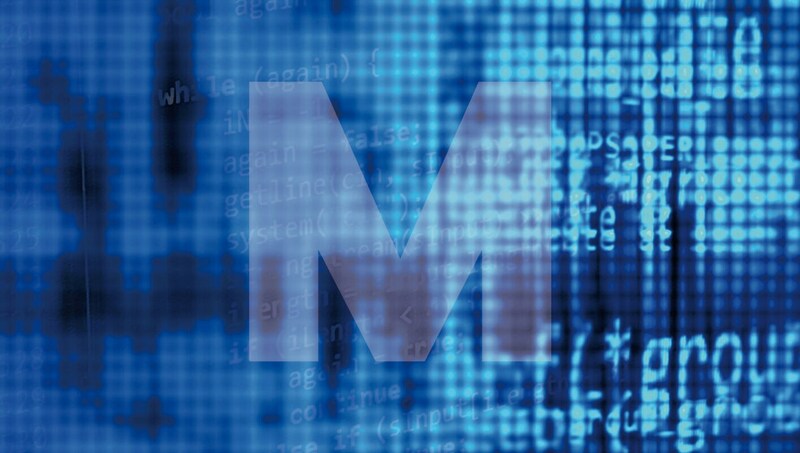 Having reliable, integrated and competitive production systems in a context where economic recovery is well underway will prove to be strategic and decisive both for large industrial groups and for the entire supply chain. 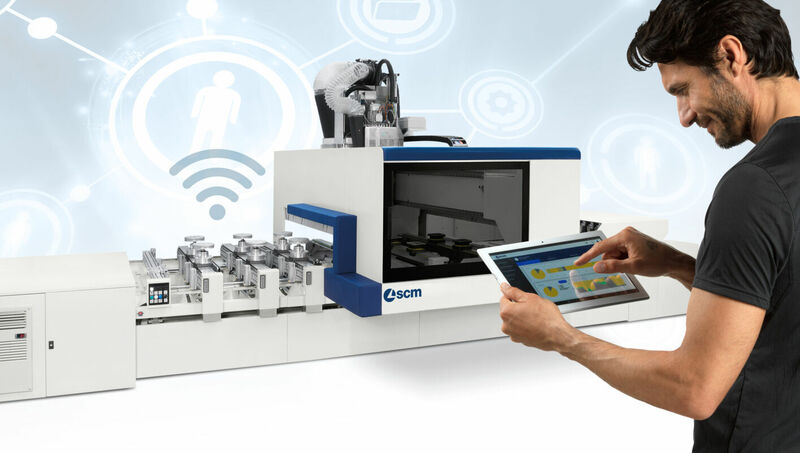 SCM has always been a solid and reliable partner for the whole wood technology sector; with this clear mission our presence will manifest itself through the widest range of solutions able to function and interact according to Industry 4.0 criteria". 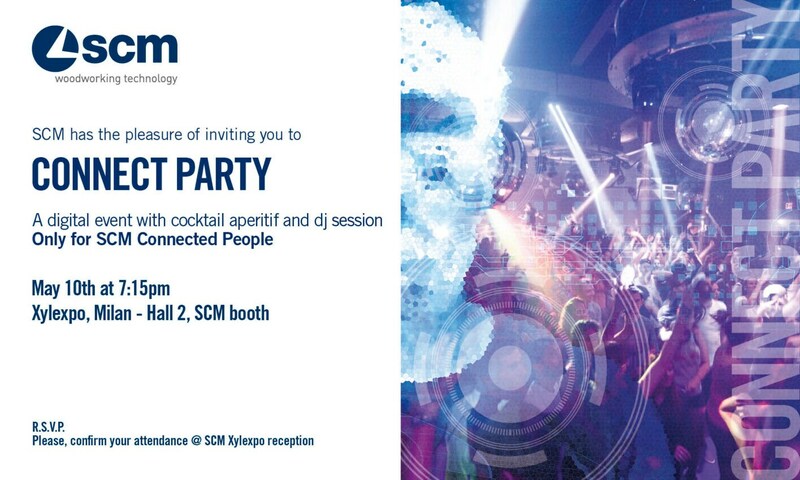 At the Milan trade show, SCM will present "Industry 4.0" applicable solutions. 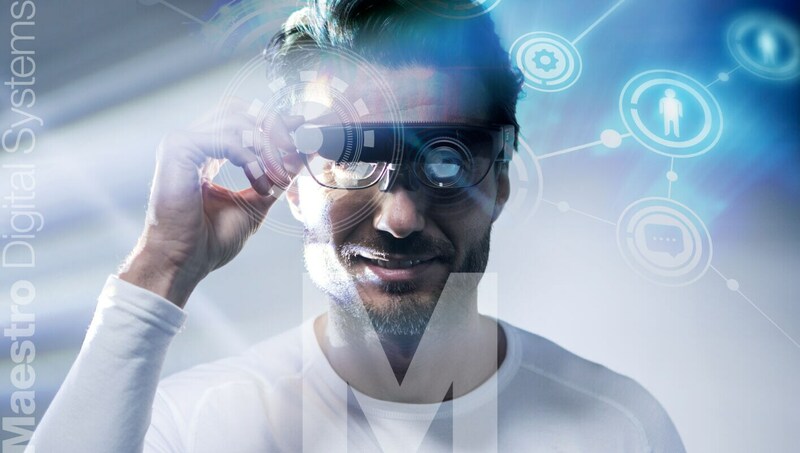 In the area dedicated to the “giant from Rimini”, the new digital systems conceived by SCM will take centre stage: products and services made possible by an increasingly widespread availability of data and their analysis, enabling quality control and qualitative assessment of production - from the techno-logical and IT development of the individual machines and their ability to operate in cells and cell systems. 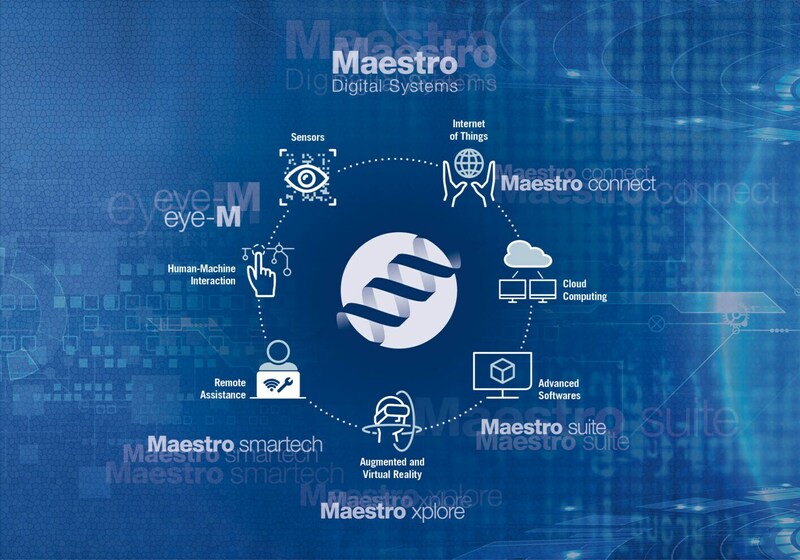 At Xylexpo SCM will present Maestro connect, the highly innovative "IoT" (Internet of Things) tools platform, enabling data retrieval from the machines for later analysis. In the field of solid wood machining and technologies, SCM offers a selection of possible applications for the production of windows, doors, stairs, chairs, design creations and furnishing accessories. The Accord range will be prominently featured at the Milan show: accord 42 fx will be joined by the highly flexible machining centre accord 50 fxm, for the processing of complex, large-sized items and for multiple fields of use, and by accord wd, the integrated cell for door and window manufacturing offering the same operation flexibility as a stand-alone machine. 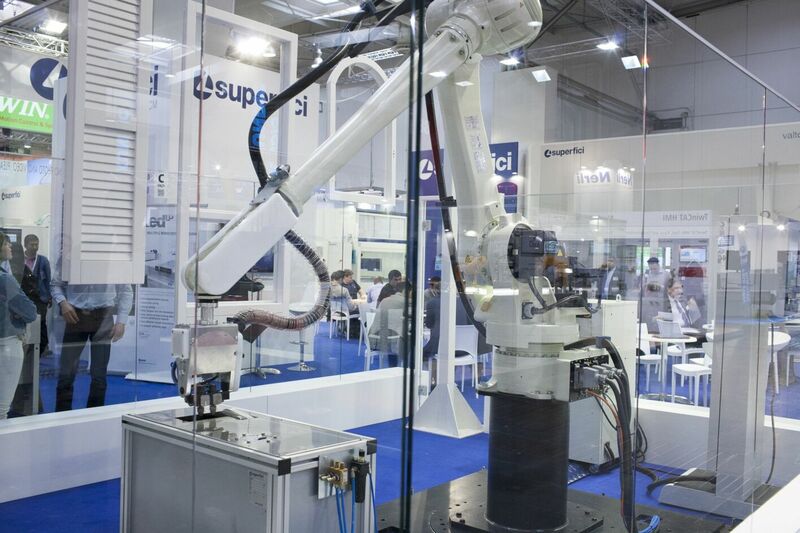 The focus will also be on superset nt 32, the moulding machine enabling endless applications, and the balestrini line of compact tenoning/mortising machines pico md3 and pico om for special joints, as well as on the 5 axis, high precision power machining centre, in line with the increasingly demanding and varied requirements of the woodworking industry. Among the new products at Xylexpo, the squaring machine p40 by celaschi, able to machine both solid wood and panels, and settable to machine joining grooves and J-Shape profiles and to perform straight or inclined machining. A fully electronic machine, it is equipped with latest generation electronic control and comes with the Maestro square software which makes it a 4.0 machine in all respects. Among the panel machining centres, in addition to the most eagerly awaited new design at Xylexpo, morbidelli m220, the morbidelli p200 drilling, milling and edging machining centre will also be standing out for its innovative edge-banding unit, which can process up to 80 mm thick panels, and for its exclusive HE-POD suction cups, making the most of the machining centre potential thanks to alternate workpiece lifting. 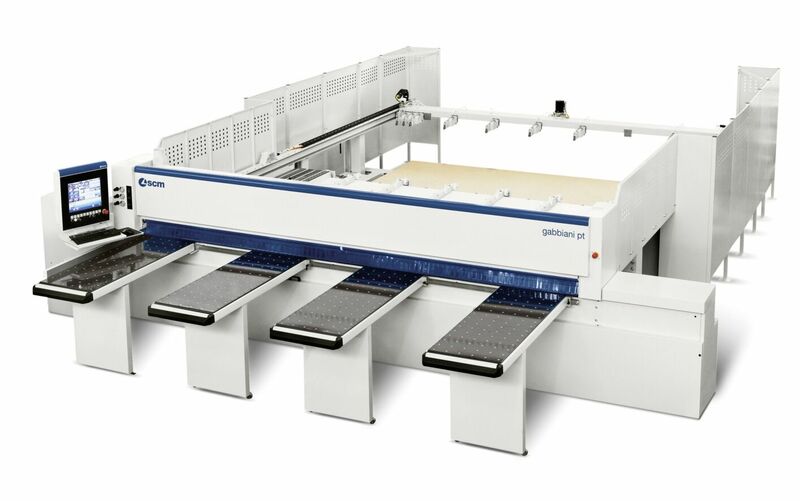 Among SCM cutting options, gabbiani g 3/gt 3 165 is the latest addition to the already well known gabbiani g 3 / gt 3 series designed to meet all the needs of companies that need to machine medium to large batches in a continuously evolving market. 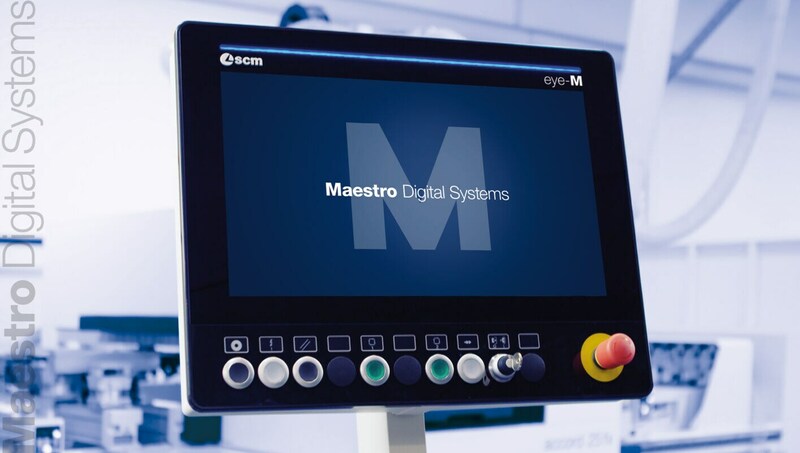 Thanks to the Maestro cut software, the new operator interface has been designed according to "4.0 industry" principles and is now fully integrated in the "easy & responsive" production system. As for edge-banding, SCM presents new devices starting from the olimpic range: its new range of Fastback panel return systems that increases the production efficiency of the stand-alone edge-banding machine, up to 20-30% with a single machine operator and an air-cushion bench positioned infeed which considerably helps the operator when processing panels of great dimensions. 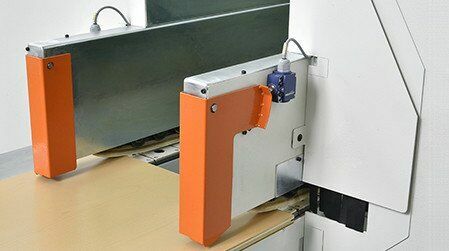 A model to be pointed out is olimpic k 560, the reference machine for small woodworking companies, which further increases its performances thanks to the possibility to machine solid wood edges up to 12 mm thickness, for a greater versatility of use. 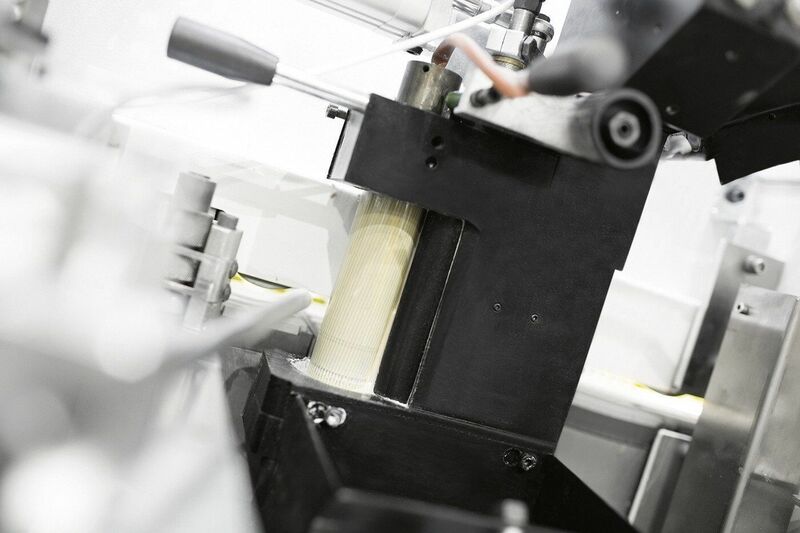 Highlights for SCM edgebanding machines also the new AirFusion+ device, which helps the hot-air/zero glue line application increase productivity by +10% and cut start-up times by 50%. Among the machines on display, which include with the new HMI "eye-M" with 21.5" multitouch display featuring 3D preview of the machined panel, there is stefani xd, the most up-to-date application of the wealth of expertise acquired by SCM in the field of industrial edge-banding. Among its added values are the generation E spindles, designed to provide a solid balance between lightweight machining and new rigidity standards. The showcased sanding solutions are also expected to be of great interest for the furniture industry and contractors who need solutions suitable for intensive use and able to ensure striking and highly customisable results: from dmc system t4, able to achieve, thanks to its internal cross-belt unit and planetary unit, excellent finishes on both unpainted and painted panels, to dmc system t5 equipped with two carver units and a saw cutting unit, particularly suitable for obtaining effects such as carving, band saw cutting or structured effects. SCM also intends to further strengthen its role as a pressing segment player with an even wider range of solutions, able to respond to all market requirements. 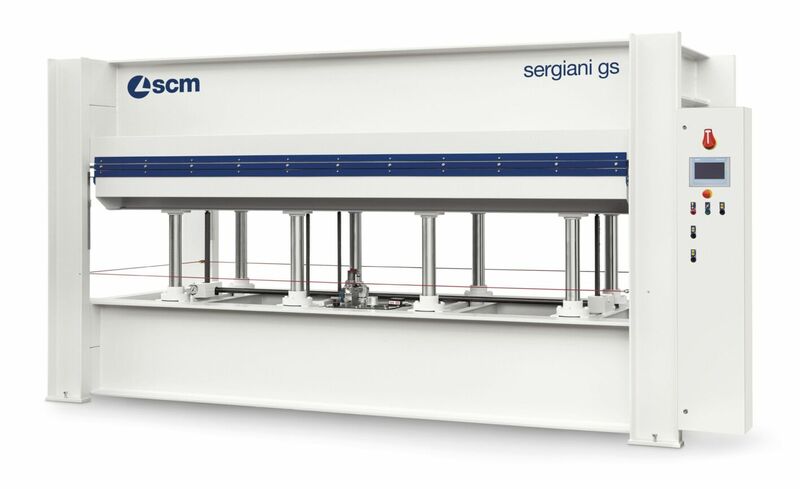 In addition to the manual sergiani gs and automatic sergiani ga-a hot processing presses, designed to meet a variety of customer needs, particularly in the field of panel and door machining, SCM now plans to expand its presence in the pressing segment with pf cold-working presses, gsl-a and gsl-k presses for strip panels, 3d form for membranes, vb vacuum boxes and various line solutions featuring simultaneous loading single and multi-compartment automatic presses. 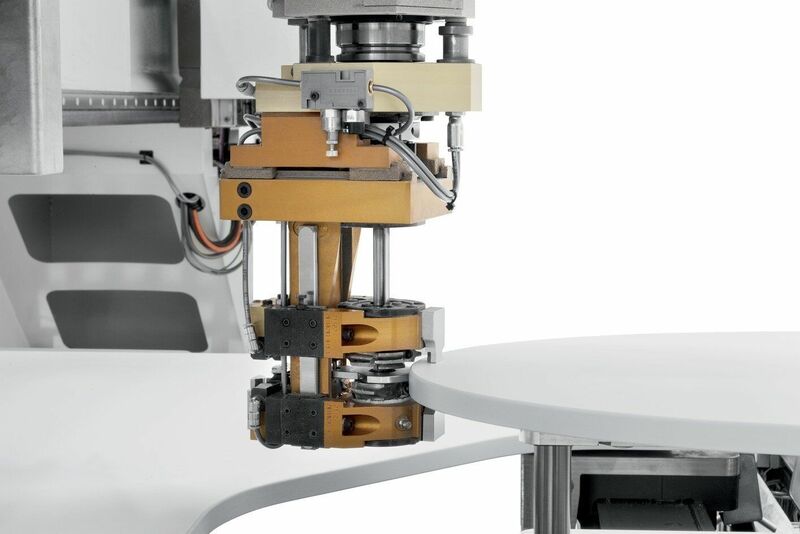 The SCM range is completed by the Surface finishing solutions: from Maestro, anthropomorphic robot for the quality paint finishing of doors and windows, to the Magnum sprayer, with its integrated user-friendly, intuitive software able to manage parameters, functions, diagnostics and recipes. Last but not least, the evergreen joinery machines, world-leading top class designs combining unique performance and continuous innovation. These features are confirmed by the complete range of solutions displayed at the fair, and most remarkably, by "L'invincibile" range with its upgraded design and technological features, an absolute market benchmark in terms of precision, reliability and safety. 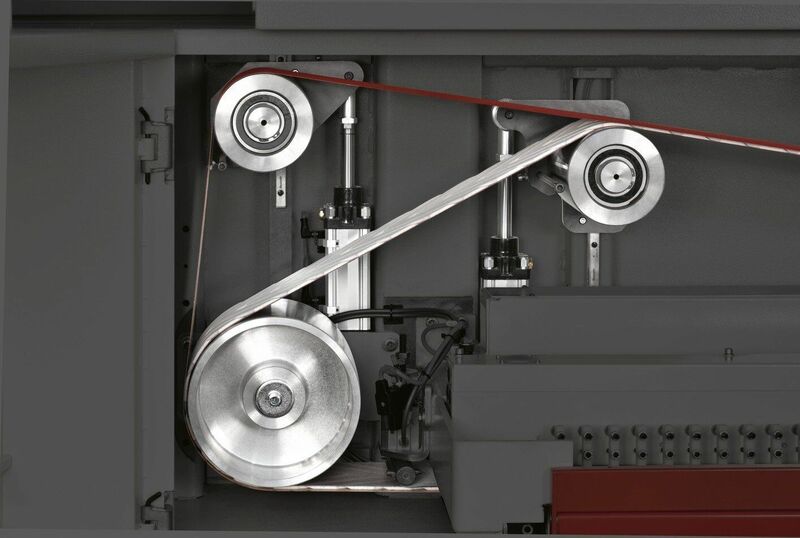 The dual tilt introduced in the circular saws si x of the L'invincibile range is now extended to the smaller "minimax" version with the introduction of the minimax si x model with +/-46° tilting blade and programmable motor-driven movement. 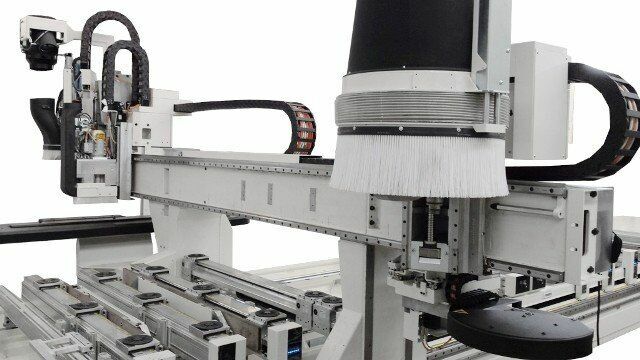 At Xylexpo, the focus will also be on the combined edge rounder-trimmer unit for edge-banding machines - the ideal one-stop machine for facing and trimming the front and rear ends of panels and at the same time, rounding the front and back edges. The new VF extractors are innovative technology, clean air filters that complete the widest range of woodworking machinery on the market. Low-noise and efficient, they are ideal for any work environment. Come and see the whole SCM balestrini range in the new plant in Zogno (BG). Guided tour with free transfer by bus from Milano Fiera, on 8th, 9th, 10th, 11th May. Exclusively in Zogno, balestrini cube, the 5-axis machining centre with two independent working units. Machine and Robot into One!